Many firms think it counterintuitive to offer incentives for their customers to complain, worrying they would be inundated with angry customers; or if they did not respond effectively, they might lose the customer. These fears are unwarranted, however. The advantages of offering a value guarantee are many. It demonstrates to customers that your firm is serious about customer service and providing an exceptional experience for them. It puts your money where your mouth is. It is one thing for a firm to tell customers how good they are, quite another to show them with a value guarantee. It gives your entire organization the impetus to exceed the customer’s expectations, since now your money is on the line. This focuses the firm on the only true profit center it has: a customer’s check that does not bounce. But there’s even a bigger reason to offer a value guarantee, which Ed and Ron disclosed on the show. Our work is guaranteed to the complete satisfaction of the client. If the client is not completely satisfied with our services, we will, at the client’s option either waive professional fees, or accept a portion of those fees that reflects the clients level of satisfaction. Ed and Ron suggest the following modifications to bring it more into alignment with the concepts of the VeraSage Institute. Our work is guaranteed to the complete delight of the customer. If you are not completely delighted with the work performed by us, we will, at the option of XYZ Company, either refund the price or accept a portion of said price that reflects XYZ’s level of value received. Upon payment of each of your scheduled payments, we will judge you have been satisfied. Many firms think it counterintuitive to offer incentives for their customers to complain, worrying they would be inundated with angry customers; or if they did not respond effectively, they might lose the customer. These fears are unwarranted, however. Christopher W.L. 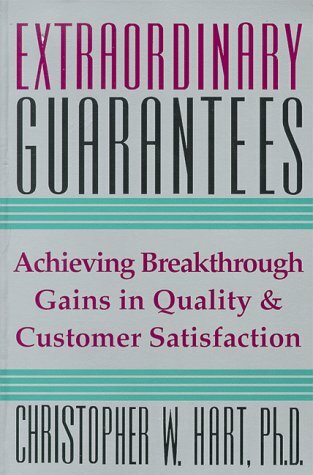 Hart’s enlightening book Extraordinary Guarantees: Achieving Breakthrough Gains in Quality and Customer Satisfaction asks a very valid question: Why force people to pay for things that, in the end, they don’t value? He documents the case of the Bugs Burger Bug Killer Company (based in Miami, Florida and run by Al Burger), a pest control company specializing in the hospitality industry. You don’t owe one penny until all pests on your premises have been totally eradicated. If a guest spots a pest on your premises, BBBK will pay for the guest’s meal or room, send a letter of apology, and pay for a future meal or stay. If you are ever dissatisfied with BBBK’s service, you will receive a full refund of the company’s services plus fees for another exterminator of your choice for the next year. If your facility is closed down due to the presence of roaches or rodents, BBBK will pay any fines, as well as any lost profits, plus $5,000. Would you pay a premium for the services of BBBK, given the above guarantee? According to the U.S. Office of Consumer Affairs, 37 to 45 percent of all service customers are dissatisfied with some aspect of the service they receive, but do not complain. 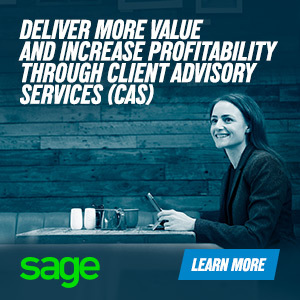 This risk of customer defection can be ameliorated by offering a money-back value guarantee. The advantages of this policy are many. It demonstrates to customers that your firm is serious about customer service and providing an exceptional experience for them. It puts your money where your mouth is. It is one thing for a firm to tell customers how good they are, quite another to show them with a value guarantee. It gives your entire organization the impetus to exceed the customer’s expectations, since now your money is on the line. This focuses the firm on the only true profit center it has: a customer’s check that does not bounce. The value guarantee establishes a competitive differentiation and helps to sway the marginal customer to select your firm (especially important in Request for Proposal [RFP] work). Because having a guarantee requires a higher level of trust, the firm will do a more diligent job of prequalifying all of its new customers and will document the expectations of each party much more thoroughly. A service with a guarantee is more valuable in the marketplace than a service without a guarantee—because it dramatically decreases the customer’s risk—and this alone enables the firm to command a premium price over its competition (think of FedEx, Nordstrom, Disney, Amazon, and BBBK). Experience shows firms can command a 15-25% price premium over their strongest competitor if they offer a guarantee. 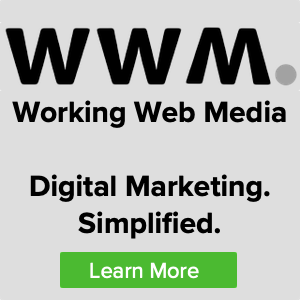 It provides word-of-mouth advertising for your firm, because customers appreciate this policy and will be more enthusiastic about referring new customers. It provides the customer an incentive to complain, which as we have learned, is more valuable than the alternative, because it gives the firm an opportunity to fix the service defect, preventing the same mistake being made with another customer. It is a constant trial—with the customer as judge and jury—and forces the firm to update and improve system delivery processes. With all of that said, there is even a more substantial reason you should offer a service guarantee to all of your customers: You already do. If any of your customers were to complain loudly enough, you would make adjustments to their account, according to their wishes. Or, you would ask the customer to pay only what he or she thinks is fair. Unfortunately, this is done after the fact, when you will receive no benefit from it. In effect, you have a covert value guarantee; I suggest you make it overt in order to gain a marketing and competitive advantage over your competition—one that you trumpet in the marketplace. Fred Smith, when he started FedEx, painted it on the side of his airplanes and delivery trucks: “Absolutely. Positively. Overnight.” If FedEx doesn’t deliver you don’t pay—an excuseless culture. The best source for developing a value guarantee is the front-line team members who have the most interaction with the customer. They understand where the breakdowns, inconsistencies, reworks, mistakes, and variations occur in the service delivery chain. They also understand what is possible to deliver, and can formulate a value guarantee they will have ownership and pride in. Will some customers take advantage of a guarantee policy? Probably. But consider Nordstrom, legendary for taking back merchandise not even purchased from its stores. It estimates that 2 to 3 percent of its customers take advantage of this policy, yet 97 to 98 percent appreciate the policy and are more loyal—and pay a premium price—as a result. Do not let the tail wag the dog. If any one customer were to abuse your service guarantee, he would actually be doing you a favor by self-identifying himself as a problem customer. Gladly refund his money and fire that person from your firm. Please do not misconstrue anything I have said here as meaning “The customer is always right.” That is patent nonsense. Even e-Satisfy.com has shown through its research that up to 40 percent of expressed dissatisfaction is caused by the customer’s own mistakes or unreasonable expectations. Yet while the customer is not always right, it is no use to argue with him, since I have rarely seen anyone win an argument with a customer. The fact is, customers are entitled to their feelings and will act upon them, even if intellectually they are wrong. Sometimes the only course of action is to fire them. And this is a company who computes that only five customers per flight account for their entire profit. So why would Kelleher so nonchalantly fire a customer? Because he stands up for his people and puts them first. Once his response was published in the Southwest newsletter, what do you think happened to team member morale? If it comes down to a choice between your team members and an unreasonable customer, side with the team members, even at the expense of short-term profits. The team members will make up for the lost revenue, but you can hardly ever recapture the loss of dignity and respect team members suffer by forcing them to work with rude and unreasonable customers. Even better, let your team members decide which customers to fire—you will be surprised how diligently they perform this task and then how motivated they are to make up the lost revenue. It is extremely rare to be “wowed” by a service experience today, a rather sad state of affairs. Yes, it is difficult for firms to continuously raise the bar of service standards, and exceed their customer’s expectations, but most do not even appear to be trying. There are, no doubt, many reasons for this service apathy, from too much focus on what happens inside of a firm, internal initiatives more concerned with the workflow and time measures rather than the customer, to compensation structures and cultures that no longer support superior service. If you were to examine all of the great sources of wealth creation throughout the history of the world, you would notice this profoundly important truth: In every era, the businesses that succeeded and achieved excellence took a clear stand for the customer. Indeed, the central purpose of a business is to create and serve a customer. By providing a value guarantee, your firm will offer a superior value proposition to its customers, allowing you to charge a premium price, one commensurate with the value you are creating. A good idea whose time is now. Your satisfaction is guaranteed through our unique Short Pay Policy that states, "If you are not satisfied… don’t pay us. We will contact you immediately to resolve the problem." Can we give you a 100% guaranteed final price? Most of the time yes, but no-one has a crystal ball. Things change, goal posts shift. Litigation, for example, can be very unpredictable. Service Guarantee - we can’t guarantee outcomes but like price, the quality of our service is another thing we can guarantee up front. If you think the quality of our service didn’t match what was agreed, let us know and tell us how you think that should be reflected in the price you pay. You can count on FedEx reliability. We have a remarkable on-time delivery record, and we back FedEx Express® shipments, FedEx Ground® shipments within the U.S. and to Canada, and FedEx Freight®shipments with a money-back guarantee.